During the summer of 2008, as the credits scrolled past, and we sat giddily contemplating how much fun we’d just had watching Iron Man, Samuel L. Jackson sauntered out of the shadows to chat with Tony Stark about “the Avengers initiative.” This could have been a one-off appearance, but it was effectively the Big Bang of the Marvel Cinematic Universe, the umbrella franchise and shared setting for a small battalion of Marvel superheroes which now spans nearly a dozen movies and at least one television series over the last six years. The result, more than six hundred million dollars in ticket sales for The Avengers, and billions for the MCU as a whole — conspicuous sums of money, even in the current blockbuster-and-sequel-studded financial vortex of Hollywood — has led other studios to the inexorable conclusion that they must construct Ur-franchises out of their own precious comic-book properties. Last summer’s Man of Steel, for instance, was the beginning of a DC Comics shared universe, disguised as a Superman reboot. The film was inundated with references to Wayne Enterprise, the fictional corporation owned and operated by Bruce Wayne, and though it didn’t feature a post-credits sequence with Ben Affleck as the new Batman, director Zack Snyder wasted little time announcing that the Superman sequel would be a full-on crossover. The title, officially announced this week, is even less subtle in announcing its intentions: Batman vs. Superman: Dawn of Justice is an obvious reference to the Justice League, which had been, until recently, the most resilient in superhero supergroup in our cultural supermemory. The latest Spider-Man movie, The Amazing Spider-Man 2, teased out the formation of a gang of franchise-ready bad guys — The Sinister Six, a kind of anti-Avengers — consisting of villains like Doctor Octopus, Vulture, Green Goblin, the Rhino, probably Mysterio, and maybe Black Cat. 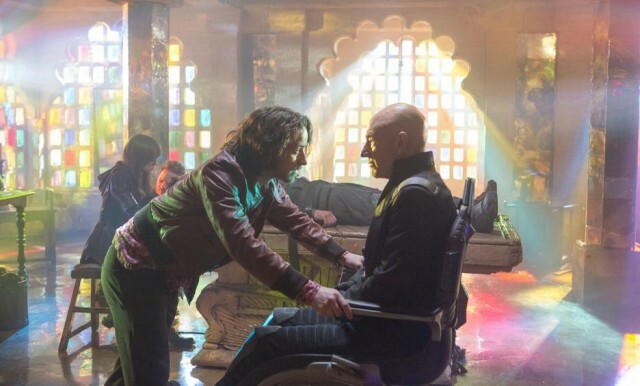 Meanwhile, X-Men: Days of Future Past, which aims to conjoin the two disparate X-Men franchises — Bryan Singer’s bland, stilted, modern-day heroes and Matthew Vaughn’s slick, sixties-cool X-babies — into a single storyline, does as much to reboot the franchise as unify it, allowing the uninterrupted production of further sequels. Comic book movies, in other words, are becoming more and more like comic books themselves: serial adventures in which each installment leads to the next installment. Each movie gives you a fix of super-powered shenanigans, but doesn’t fully conclude much of anything at all, in the hopes you’ll be back for another dose. This logic works extremely well for comic books: Fans rarely cite the conclusion of a specific storyline as being necessarily all that satisfying. Many remember when Superman died in 1993’s Superman #75 and eventually came back to life, for instance, but nobody really cares how or why. It’s said that no one in science fiction stays dead; this is only truer in comic books, where it appears that no one can even catch a nap. But the nagging question here is: does this mode of storytelling work in the movies? If you’re reading an issue of a comic book that ends in a cliffhanger or a teaser, and the next issue comes out in a couple of weeks, it’s a fairly natural and reasonable amount of time to wait until the next installment. Soap operas have been doing this for decades, and mainstream television has been managing this with (mixed) results recently. But the experience of film is inherently different than serialized comics, soap operas or television. The lights go up, and you walk outside and you go home or to a bar or to Applebee’s for half-off appetizers after 10 p.m. Films end. And while comic-book-style serialization might work in terms of perpetuating built-in audiences that generate unfathomable amounts of money, there is something inherently wearying about a series that never ends, filled with films that refuse to have an ending. In a movie with a storyline that resolves itself at the end — or at least artfully refuses to — you’re rarely left wondering if there will be a post-credits sequence, or one that will set up Inside Llewyn Davis 2: The Ghost of the Orange Cat. A consequence of never-ending comic book movies is they’ve become more predictable than ever; they’re slavish to their source material to a fault. Last summer’s Iron Man 3 had Tony Stark seemingly retiring from the Iron Man business by finally having the shiny thing in his chest surgically removed, but nobody actually thinks Tony Stark has given up shooting over-the-top bad guys with photon blasters, otherwise there could be no sequel. Superman can’t die; Tony Stark can’t retire; Professor X can’t stay vaporized. If they did, the semi-sequels couldn’t be made. (At least, not without a reboot! R.I.P. Christian Bale’s sulky, blockheaded Batman.) It’s worth asking why we bother go to these films at all when we know precisely what will happen — even if the Joss Whedon-penned dialogue is slightly snappier than in the comic books and the spectacular feats seem slightly more spectacular on the screen than on the page. Comic book movies, contra everything that is happening in Hollywood right now, could follow an alternate sequel path, like Superman in 1978. Because Mario Puzo and Richard Donner were more interested in making a good movie than adhering to the comic book continuity, they wound up producing a classic superhero movie or two. While General Zod promises that he will avenge himself onto Jor-El’s heirs at the beginning of Superman before making good on it in Superman II — which would probably make you think this trend of creating never-ending comic book movies is not new at all — the movies were planned and filmed (mostly) as a single story. Sure, we could imagine Superman having other adventures after it ended, but Superman II closed the loop. Superman III and Superman IV were awful precisely because they were produced by the same cynical kind of comic-book franchise exploitation we see today, with arbitrary villains, tedious, open-ended plots, and horrific acting. Christopher Nolan, Jonathan Nolan, and David S. Goyer, seemingly aware of this temptation, made their Dark Knight Trilogy a bizarre aberration: Shockingly, Batman retires in the final film, putting a period, or at least a semicolon, at its end. It felt earned, since it seemed like this story was small and contained enough to demand a specific ending, even though in the face of the multi-tentacled multi-film universe, the idea of a simple trilogy or even numbered sequels seems quaint. This weekend, when Wolverine slides into the past in Days of the Future Past to correct some terrible deeds done in the seventies (besides the fashion, right? lol) in order to reshape the gross future from which he comes, it will mark a rare feat: a comic book movie being completely honest about how confusing it is, as the X-Men themselves run around rewriting their own history, undoing consequences, reversing deaths, and transforming endings into new beginnings. Of course, it will end the only way that it can: Wolverine will tragically succeed in making his world just like him, immortal and unending. Ryan Britt has written for The New York Times, Tor.com, Clarkesworld, The Drum, Omni Reboot and elsewhere. He teaches at the Gotham Writers’ Workshop and lives in New York City. He is also on Twitter.